Nowadays, consumers and enterprise cloud business are driving the development of data centers, whether it is relying on IT transformation of traditional enterprises, or Internet content providers (ICP), it needs a scalable data center architecture to meet the east-west traffic growth. According to Microsemi data show that the demand for flow for traditional operators is 25T, while for the Internet enterprise is 960T, about 40 times of the former. Ultra-large data centers are often represented by metro-wide distributed data centers, but logically a single giant data center, which relies on a large number of optical transmission devices, embodied in digital, Microsemi predictions By 2019, Internet content providers will spend 20% on optical transmission. Whether it is a data center or optical transmission market, will usher in a rapid growth period. However, enterprises, especially ICP in the data center interconnection (DCI) construction is facing many challenges. Usually, there are two ways to achieve data center interconnection: dark fiber & leased fiber, ICP will often be combined in two ways. Dark fiber is the use of fiber optic cable to build a private network, this way in the Chinese metropolitan area may be achieved, but not for long distance, and in this way ICP need to buy their own optical transmission equipment and personally run to maintain their own network; Line is to the traditional CSP to buy wavelength or Ethernet transmission services, the ICP, this approach by the supply side has brought a higher cost. In addition, the loss of data leakage increases exponentially, and in order to prevent data leakage, ICP needs to encrypt the physical layer when the data leaves the data center. 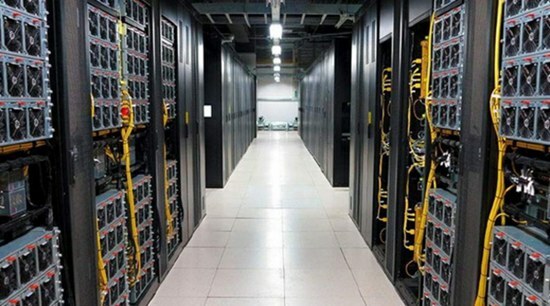 In response to the needs of data center interconnection, to solve the difficulties faced by ICP in DCI construction, optical transmission manufacturers are developing a new generation of DCI optimization platform. In view of the fact that all equipment on the data center rack can not affect its cooling structure, the cooling standards for DCI-optimized optical transmission equipment need to be aligned with the server/switch; the new optical transmission equipment needs to provide different port rates, the current mainstream 10GbE, a small number of ICP has been using 40GbE, with the increase in transmission requirements, the demand for 100GbE and beyond-100GbE is bound to highlight, and to meet the needs of different vertical markets, optical transmission equipment also need to provide different port protocols. In addition, optical transmission equipment optimized for DCI needs to support data center optical transceivers. In the transmission, coherent technology for the recognized 100G and above transmission of choice. It can help companies achieve the lowest total cost of ownership (TCO), more cost-effective, and the only option to take on large transfers (from 10Tbps to 70Tbps) technology. ClariPhy, which specializes in coherent optical transmission technology, is the industry’s first vendor to introduce 28nm 200 / 100G coherent SoCs and has introduced the industry’s first 16nm FFT + analog platform for next-generation coherent DSPs. For all DCI and telecommunications applications, LightSpeed II as the industry’s first 40/100 / 200G FlexCoherent DSP, is now mass production. In the network protocol, OTN is considered the preferred network protocol for data center interconnection. OTN exchange dynamically adjusts the size of ODUflex with G.HAO to realize the bandwidth demand between data centers to meet the different needs of users. Microsemi’s DIGI series is the industry’s first solution to support G.HAO, and DIGI-G4 is the industry’s first chip to monitor LLDP packets on the optical network, enabling real-time automatic discovery of connected routers/switches and ensuring that the SDN controller is always Have the latest network topology. Microsemi highest density single-chip Nx10 / 40 / 100G OTN processor, in addition to half the power consumption per port, while with OTN encryption. ICP on the transmission requirements and operators are very different, only with coherent DSP and OTN processor as the core technology and developed a new generation of DCI optimization platform can truly meet the needs of the Ultra-large data center interconnection.